Enjoy a luxury log cabin with a king size bed, large living room, stone fireplace, two bathrooms with steam showers, double whirlpool tub and sauna. 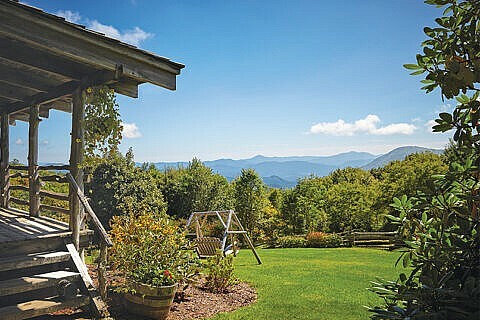 Guests are also treated to a private, covered deck with an outdoor shower, outdoor fireplace, sitting area, and marvelous views over the Great Smoky Mountains. Room amenities include a wet bar, coffee maker, bean grinder and a small refrigerator stocked with soft drinks, trail mix and hiking bars.